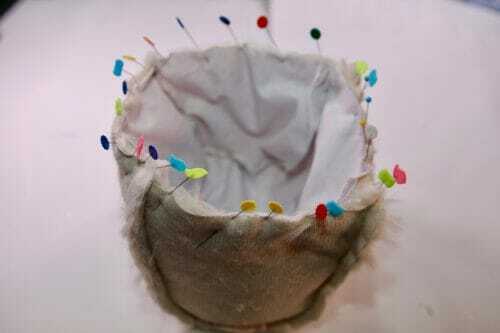 This is a quick tutorial on how to make a small fur tote. Christmas is approaching fast and my gift list is looking rather daunting, so I need projects that I can accomplish in a couple of hours rather than a couple of days. I notice little fur things everywhere –as decorations on the Christmas tree, as trimming on clothes and shoes, scarves, vests. 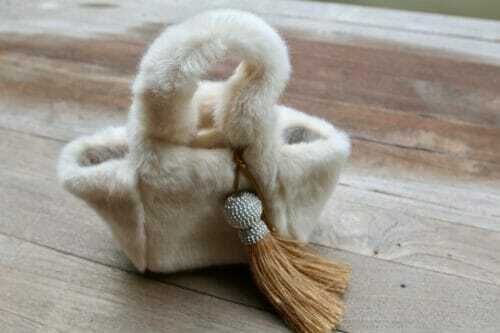 The possibilities are many and I think a small fur tote would be a great gift and an easy project. So I came up with this design and pattern that I would like to share with you. If you enjoyed our last project with faux fur making a winter hat, then you'll enjoy this small fur tote project as well. This tote is really easy and fast to make. It is both a perfect accessory and also a great Christmas gift. It would also be a good place to start if you've not made many bags before. 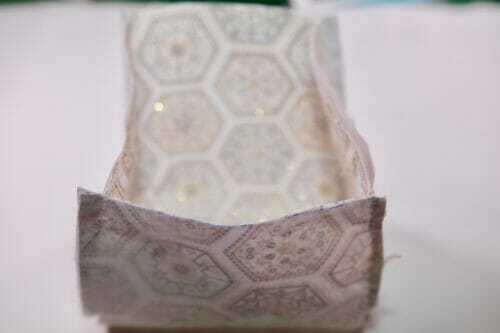 You'll learn about how linings work as well as other key skills to then move on to more complex patterns and projects. 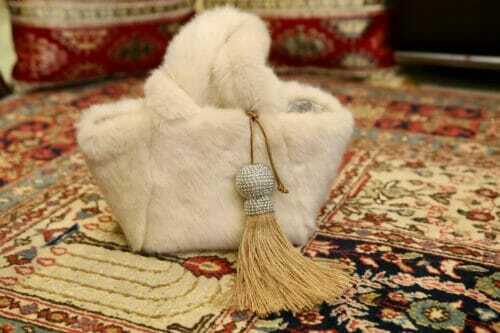 While this is a very easy tote to make, the knowledge of handling the faux fur fabric is essential. If you are a beginner, please read this essential guide on how to work with fur. The tote will measure 10 1/2″ X 6″ when finished, not including the handles. You can download the pattern for this Small Fur Tote from our account at Craftsy. The entire pattern is sewn at 3/8″. Print the pattern and trace the pieces on the back of the fur. Pay attention to the direction of the nap. The desired direction is indicated on the pattern. Join the front and back together using long pins along the widest part of the pattern which is the bottom of the tote. Push the hair down and pin the jersey part of the fur together. Sew at 3/8″. Pin the sides together starting on the top and continue pinning every half an inch. Sew at 3/8″. Pay special attention when sewing the curves. Cut the handles. One side can be longer than the other, but this is optional. 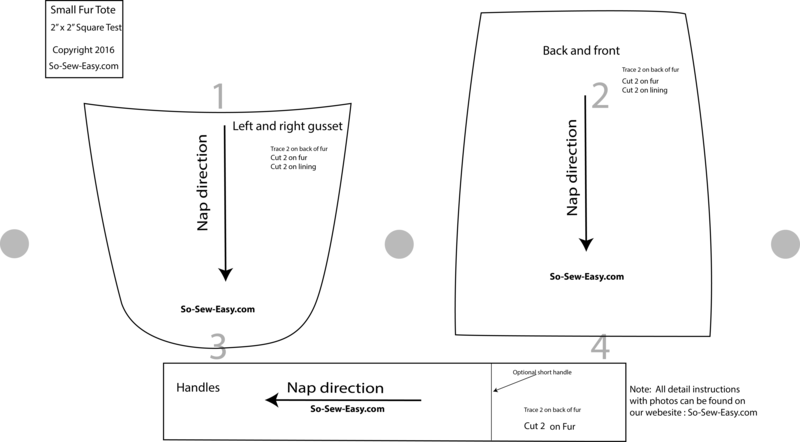 The pattern is drafted for the two size options. 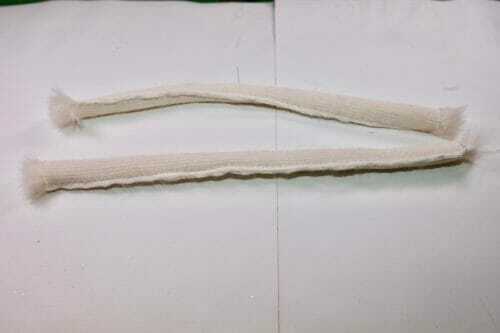 Sew the handles using a small zigzag. Turn the handles inside out with the help of a loop turner. Pin the handles to the fur side of the bag where the seams meet. 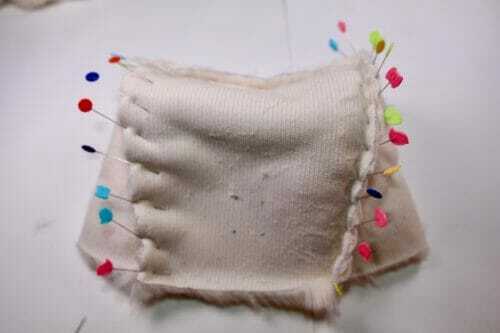 Fuse the medium weight interfacing to the lining pieces before sewing. 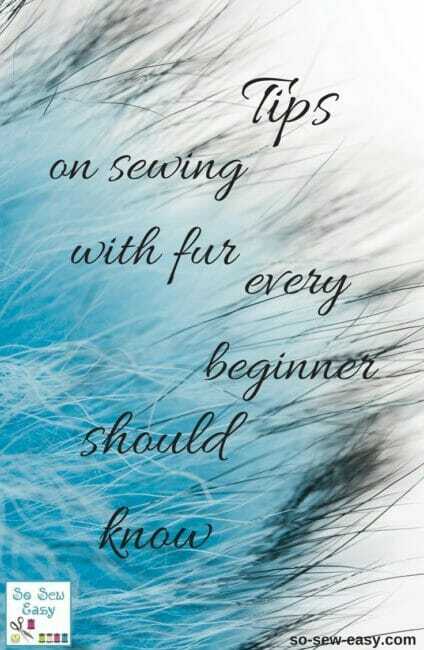 Then, sew the lining the same way you did the fur. Except that you will leave a 2 1/2″ gap on one of the sides to be able to turn the small fur tote right side out. 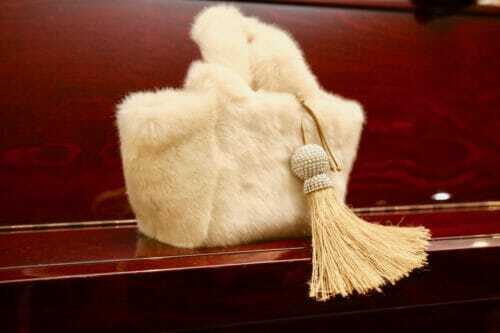 Turn the small fur tote wrong side out. 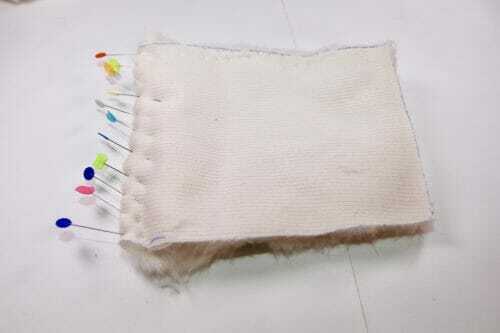 Pin the handles to the fur side where the seams meet. Insert the lining print side out and pin all around. The right side of the print should face the fur. Pin all over the top of the bag. 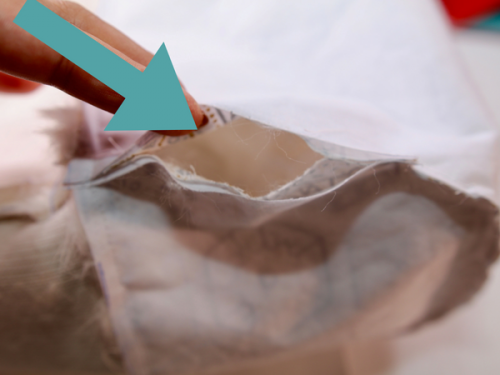 Sew the top of the bag at 3/8″. Using the gap you left open, pull the bag right side out. Do this step slowly because the fur is thick. 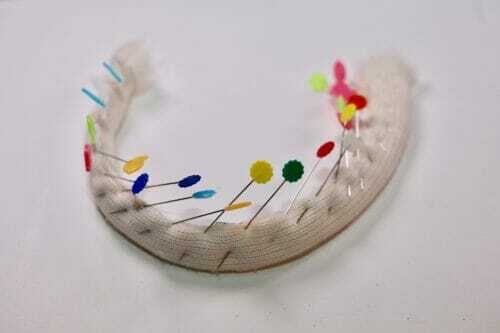 Close the gap using a needle and thread. 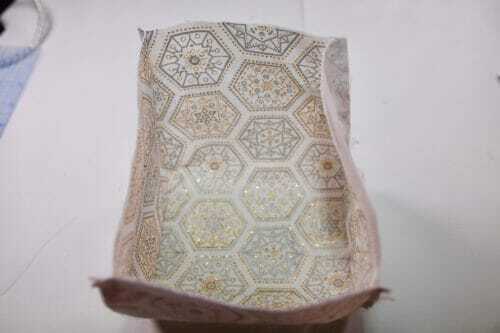 As I finish this bag, I am thinking this pattern would be great to try in fabric even in leather. I will definitely be trying a few options and share with you what I come up with. But, one thing is for sure, if you try the project in something other than faux fur, make sure the interfacing is a little stiff so it holds the shape. Until next time! 28 Responses to Small Fur Tote, a Sweet Gift for the Holidays. Thanks Mayra for your lovely tutorial! I made 1 bags, nearly like this. Thank’s Mayra for your lovely tutorial! I LOVE IT!!!! Absolutely PERFECT!!!! Where do you get the tassel? I LOVE this! Looks Great !! I will be trying this pattern very soon !! Could I use some real fur from an old mink jacket that I have inherited? You can! please do share a photo, I would love to see the finished tote. I made one with fleece and lined it with a medium weight interfacing and cotton. Came out great! Thank you! It is going to make a great Christmas present for a special little girl. You are welcome Mary, would love to see a picture! How did you sew the clasp on? You mean the silver tassel? That is coming in another tutorial on Thursday, stay tuned. 1/2″ you will have left over, but i will publish a tut, soon where you can use the rest of the fabric. Cheers! I can’t seem to find fabric requirements anywhere. How much fabric and lining fabric are needed for this bag? Yes Indeed I forgot that, 1/2 a yard for both. Thank you! I’ve only ever sewn clothing before but this bag has convinced me to stray. In sewing it is good to stray, have fun Ashley! Oooh, this is something new for my sewing obsessed Mum to try. Going to pass it on to her.